During my copious correspondence with many of you, pipe-smoking fans worldwide, I have noticed that the same or similar questions appear ever so often. In this short text let me try and answer your questions. Q: What is the difference between smoking a pipe made of golden morta and that made of copper or black morta? There is actually no difference. In my experience, and experience of my fellow pipesmokers, the three of us close friends from the Club, who together have a smoking history of ca 100 years 😉 , the quality of material is virtually identical. If a tree has been exposed to the effects of water over a thousand years (just go figure what was happening in the history a thousand years ago ;-), it is a long enough period for water to wash out all tannine, resin and other elements from the wood, rendering it neutral, an ideal material for pipes. Q: Which colour morta is the best material for the creation of a pipe? It has been my experience that copper morta is a material of utmost solidity and is easiest to finish to a high shine if polished. I personally find it to be the most beautiful material. Of course, it also depends on the part of the trunk used. The root is the best part, but it has somehow been common to use other trunk segments in order to highlight the wood structure and achieve a satisfactory effect. For reasons unknown to me, the majority falsely believe black morta (because it is the oldest) is the best material for pipe making. Black morta, of course not all parts, but some of them show a certain degree of degradation. Q: What are the differences in the colour of morta due to? It depends on the site on which the tree ended up in the water. The colour of morta cannot be directly and exclusively attributed to age alone, but it also depends on the manner in which the wood has been „maturing“. If a tree has lain under the mud, clay, or mineral deposits, eg. iron, its colour turns darker than that of the tree which has only been laid on gravel. The colour is also dependent of the part of the tree. Thick trunks, in their center, never assume a completely dark colour, in contrast to their outer layers. An interesting effect is achieved in this way, a two-colour pipe, most often it is golden – copper, or black-dark brown. In addition, black morta is not a single entity, black is a universal term for all dark nuances, that is from dark gray to really completely black. Naturally, combinations also exist of darker and lighter spots on the same pipe, but anyway all those are the samples of about 4000- to 5000-, exceptionally even 7000-year-old wood. Q: Has there been any wood- dating analysis done? Wood dating is usually done for the samples taken from a single site, and Carbon-14 method is used for the analysis. Analyses are performed at the Ruđer Bošković Institute in Zagreb, Croatia, or at an Institute in Ukraine. Collaboration has also been established with Cornell University within their project of climate change investigation, and they have been sent a few hundred samples for analysis. This proved to be one of the crucial points in data collection as, in addition to all the above, the age of all wood samples obtained has been confirmed. Q: Why is morta such expensive material? Morta is a material which is very difficult a) to find, b) especially good quality morta, c) to extract from the water, and d) to dry in a proper manner as well as to process. We in Croatia are definitely lucky to abound in very high quality material, which is the result of exceptionally good quality oak. Owing to the years-long hard work of my associates and the professional help of the Zagreb University Faculty of Forestry, the technology of dessication and processing of such wood has been developed. This is no job for amateurs. The basic challenge is how to dry the wood, which is completely soaked with water, and at the same time avoid the splitting of the wood structure. My associate possesses special premises with controlled ventilation and moisture removal systems ensuring that the block is processed sucessfully. The drying process takes at least three to five years; however, the rate of discarded material is very high. The best blocks only are selected for the creation of a pipe, for it is going to be an object exposed to extreme temperatures. Of the quantity of wood extracted and processed, the blocks suitable for carving pipes amount to only a one percent. Q: Is dyeing obligatory in the pipe making process and which finishing treatment is applied? It is my principle to leave my pipes in the natural state of being. Thus my assortment includes black/dark-gray, copper and golden morta. As a very rare exception, if I should use the material of a mottley (stained) appearance, my practice is to sometimes apply a layer of dye to correct it, but I have used this technique in the production of only a few pipes so far. The truth is that in time dark-grayish morta pipes become completely black, they change their colour in the same way briar pipes usually do, not to mention meerschaum pipes 😉 . I know that other pipemakers use the dyeing techniques and in the process turn golden morta to black, as can be seen in this picture … look at the colour of the inside of the tobacco chamber. The finishing process is completed by applying a layer of Carnauba wax, with a special technique which enables the wax to penetrate deeply into the wood, and subsequent heating to ca 100 to 140 degrees Celsius in order to confirm the quality of the wood. During this process a certain percent of pipes „crack“, which means that splits appear in the wood, and such pipes have to be discarded. Due to a large amount of Carnauba with which a pipe is finally protected, leaking of a small amount of wax from the wood in the form of hot liquid may occur during the first few times of smoking. This is neither a problem, nor any flaw, the excess wax needs only be wiped with a soft cloth and this will stop after the first three or four times you smoke your pipe. Q: Other pipemakers keep the prices of their pipes high, do lower prices of these pipes mean that they are lower quality? I like to think and honestly believe that I use some of the best morta material there is. Given the fact that my associate is in the manufacture of a range of products from morta, including furniture, decorations and sculptures, the quantity of material available to me is relatively high. In addition, imperfections in the wood can be camouflaged in a morta bed or table piece, but not in a pipe. As I said above, the amount of material that goes into the creation of pipes is only a few percents of the total wood mass. Therefore, my source of material is relatively cheap after all. I have my vocation and a well-payed professional job. I take pipe making just as a hobby, and for the time being I do not have any wish or need to change it. A part of my spare time, perhaps the most pleasurable one – of course, apart from spending time with my family, is dedicated to this hobby. In short, this means: If I feel like making pipes – I shall make them, if I do not feel like it – I think it’s clear 😉 . Procure yourself a pipe while I am stil in the mood 😉 . The price has been so defined as to cover the expenses, which means to cover all workshop expenses, and make small profit for my and my buissnis partner. And most importantly, I find the most rewarding thing that through this hobby of mine I have come to know plenty of adorable people, besides my friends of the Zagreb pipesmokers’ Club, many fellow pipesmokers from all over the world. A population who is slowly getting called something of a weirdo 😉 . I use Only first class morta wood for pipes, less than 1% of completely processed morta is suitable for making pipes. Every piece of morta prepared for carving a pipe is carefully examined before carving process begins to determined if some imperfections possibly exists. Those imperfections could be: Soft part of some rings on wood, pinpoint spots, fungus, on the wood that are a different color, or small poorly visible cracks on the surface. 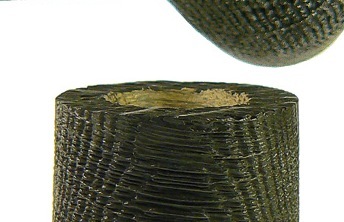 These imperfections can result in cracking, when the completed pipe is use, or thru time, burning the bowl area. I use a small microscope and my inspection time, and years of experience to determine possible problems and imperfections. After the piece of wood passes the first inspection, the carving process begins. In final step of production, when the pipe is near the final finishing process, the pipe wood parts are heated between 100 to 150 degrees Celsius as a stress test to determine if any imperfections are exposed. If a discovery is made that piece is thrown away. In the final heating stage, I use a process to impregnate the pipe with a special mixture of Carnauba wax and other confidential natural ingredients. The pipe surface is coated with a melted wax to penetrate any soft areas in the wood, very important for sandblasted pipes, to seal the surface of the wood. This is not a water proofing process. Be careful with your pipe when new, the first few bowls are smoked and possibly overheated, so a small amount of melted wax may appear on the pipe surface in the high heated areas of the bowl. Use a soft cloth to wipe the pipe. After a few smokes this will stop. For additional care of the pipes surface, use this same cloth to polish the pipe from time to time. You also can use a small amount of quality wax used for woods for later polishing of the wood surfaces. When finishing the inside of the bowl, I use a very old way of preserving the wood. In this process I use special made wooden tools, causing friction that develops a high polish surface and produces higher temperatures on inside of bowl, and partly burns the inside surface. This process creates a new looking bowl resulting in additional fire resistance to the wood. Do not use a torch type lighter to light the pipe tobacco. It produces over 1.200 degrees C, can burn the wood and permanently damage the inside of the pipe bowl. I suggest to use the traditional lighting method by using matches or a regular, low temperature, pipe lighter. Personally I prefer the Zippo type lighters as the best lighting method. I feel certain that my levels of examination and wood treatments are not used by the majority of other pipe carvers. I spend many hours to produce every pipe, being very watchful during the process. Because this is a natural material which must pass a lot of everyday temperature stresses, understanding that some problems might occur with my pipes too. In rare cases epoxy type glues will not properly hold securely, and might cause some hidden flow damages to the wooden parts of a pipe. This happens rarely but could occur in some very rare circumstances. I have only experienced a few quality issues in the last ten years of my pipe carving and production of 1,000 + pipes. My policy is, if a problem develops, just contact me. It will be my pleasure to find a solution for every problem discovered as long as the user is responsible with the proper use of a pipe, and has not abused the pipe. How to smoke a morta pipe? The morta pipe can be smoked in the same way as a briar pipe. This is simply a type of wood too, that is actually a petrified stage of wood that is from 1,000 to 7,000 years old, a very hardwood. Morta can be smoked more than once a day, but allow enough time, a few hours to allow the pipe to completely cool down and the moisture and humidity to dry out in a reasonable amount of time. The often and constant use of the same pipe can create a bad and sour taste, especially if you smoke different types of tobaccos in the same pipe. This can create the unpleasant ghost effect. Morta pipes produce less of a bowl cake than the ordinary briar pipe. Some tobaccos produce little to no cake in a morta pipe. No problem if you leave a light cake layer in a morta pipe, if one begins to develop. Caution is recommended when smoking the first few bowls to stabilize the pipe. Morta wood will less ghost the tobacco flavors like briar will sometimes do. Enjoy your new morta pipe. It will be a new pipe smoking experience. Q: Do you sell raw morta material for pipe making? No, I do not. From all the above it is obvious why. My supplies include top quality material sufficient for the production of some hundred pipes, and this must be enough for me to work until the wood currently in the processing stage is ready to be used. I work with briar too, but morta is by far a more difficult and demanding material, a real challenge for a pipemaker.